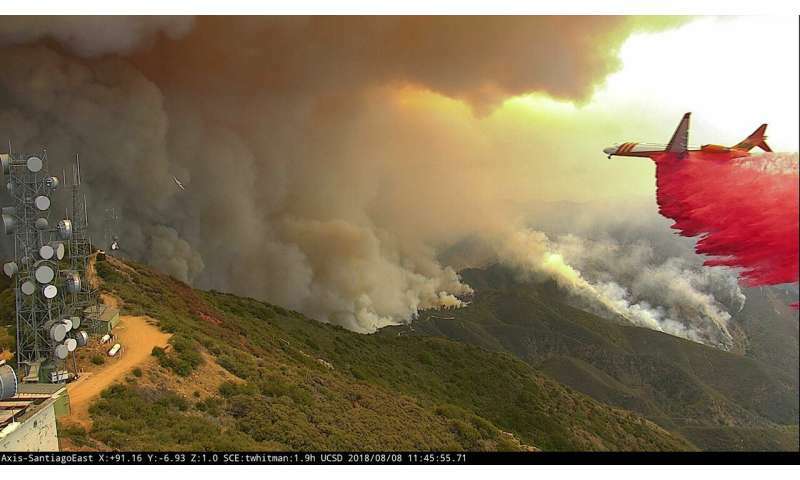 The ALERTWildfire Camera Network connects firefighters with real-time fire activity and provides situational awareness that allows first responders to scale their response accordingly. The network now features more than 160 cameras throughout California, Nevada, Oregon, Washington, and Idaho, enabling high-definition, on-demand time-lapse imagery, including many with live video and near infrared night vision to detect smoke, pan-tilt-zoom functions and more. Fire officials have full control of the cameras to monitor fires, triangulate on the location of fires at their earliest stages, and confirm 911 reports. The expansion coincides with research that projects an increasing likelihood of wildfires in the state. According to California's Fourth Climate Change Assessment released in 2018, if greenhouse gas emissions continue to rise, by 2100 the frequency of extreme wildfires would increase, and the average area burned statewide would increase by 77 percent. The 70 new cameras are dispersed throughout high fire risk areas in Los Angeles, Orange, Riverside and Ventura Counties, and are supported by Southern California Edison (SCE). SCE's Fire Management Organization, public agencies as well as the general public have access to the cameras around-the-clock to monitor wildfire activity. The installation of the cameras is part of the utility's wildfire mitigation efforts. Up to 160 cameras are expected to be installed in the SCE service area by 2020, which will allow approximately 90 percent coverage in high fire risk areas. 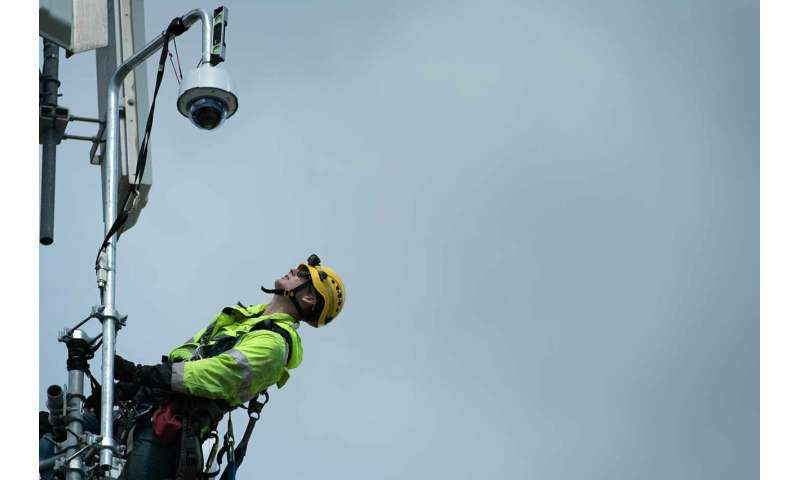 One of 70 new ALERTWildfire cameras is installed atop Baldwin Hills in Los Angeles in February 2019. Credit: Southern California Edison. "Before the cameras, we relied on reports from fire agencies and the media, as well as on-scene observations by our crews to address wildfire activity in our service area," said Don Daigler, SCE's director of business resiliency, who helps oversee operations during wildfires, severe storms and earthquakes. "The fire-monitoring cameras provide real-time images that we can rely on to protect our customers, communities and equipment from the ongoing threat of wildfires." Brian Norton, Division Chief with the Orange County Fire Authority, used the cameras in August 2018 to monitor the Holy Fire that eventually burnt 23,000 acres in the Santa Ana Mountains in Orange County. He had helped oversee the installment of the cameras last year and worked with SCE to conduct a test pilot program on Santiago Peak just three months before the Holy Fire started. "These cameras showed us the likely time the Holy Fire originated. We used the cameras to follow the fire spread," Norton said. 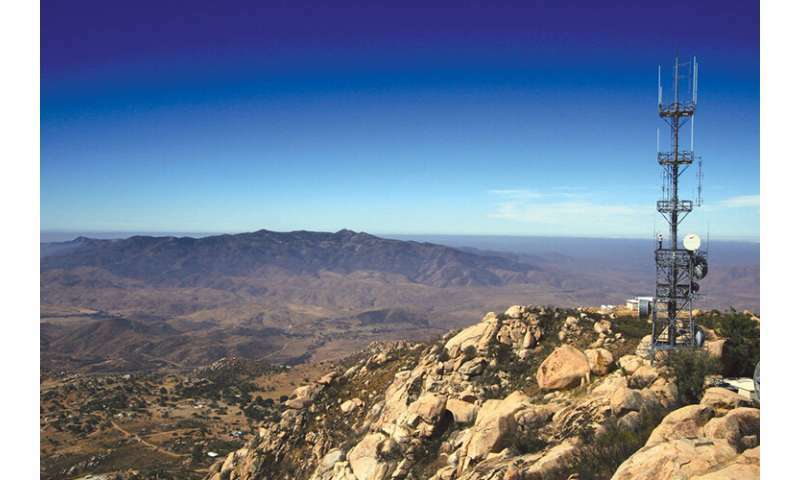 "During a flare up that occurred near Santiago Peak, the initial report was validated by turning the cameras to view the entire mountain top." "The true functionality of the ALERTWildfire camera network is realized when they are deployed in clusters as it allows for confirmation of 911 calls, situational awareness for first responders, and triangulation to determine the fire location", said Neal Driscoll, geosciences professor at Scripps Institution of Oceanography at UC San Diego and co-director of the project. Over the last decade, a collaborative team of researchers at UC San Diego, the University of Nevada, Reno, and the University of Oregon built a network across areas most prone to wildfires, starting first in the backcountry in San Diego and Lake Tahoe. The infrastructure for the system was first developed as an early earthquake warning tool but quickly evolved into a multi-hazard monitoring system that provides valuable data during extreme weather events and earthquakes. The system has been credited with detection of more than 500 fires in the last two years. In the fall of 2017, San Diego Gas & Electric (SDG&E) supported the installation of 15 high-definition pan-tilt-zoom (PTZ) cameras in San Diego's most fire prone areas, and the San Diego County Board of Supervisors helped make critical upgrades to the technology backbone of the system. In the North Bay region, 30 cameras have been installed in collaboration with Sonoma County and Pacific Gas and Electric (PG&E). Is that red substance falling from the plane environment friendly?